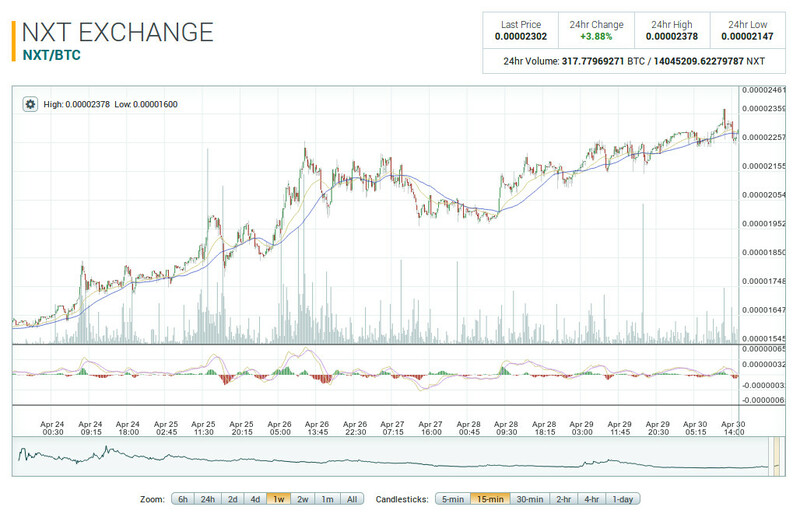 Welcome again, fellow Nxters! The IGNIS ICO is underway with Round 1 finishing up last week. Last week was an eventful one and we have much to catch you up on. Regardless of whether you are a new reader, welcome, or a long time reader, welcome back, we are happy you are here. The in-progress IGNIS ICO has been eventful, with whales showing up and consuming entire batches but minnows finally bought in too. This week we report on the highlights of Round 1 of the ICO, report on the Bitswift token swap, inform you how to start developing for the platform, and much more. This week’s newsletter is put together by James, apenzl, jose, rubenbc. The most important news of the week is the successful completion of the first Round of the IGNIS ICO. We have an ongoing series of reports with the most current info available HERE. With last week’s release of version 1.11.7 of the NRS client, minnows were able to buy into the IGNIS ICO. A whale ate most of the first three batches of 5M tokens each – 3 percent of the tokens available in Round 1 of the ICO were purchased in a matter of seconds by the user, “MAAC”. He accomplished this by spamming phased JLRDA buy orders into the blockchain ahead of time, with high transaction fees – some at 10 NXT and others as high as 20. The first Round was a success for Jelurida – all 60 M JLRDA tokens were purchased for 24 M NXT. Almost 14% of the ICO tokens have been purchased and Jelurida is well on their way towards their goal of raising €50 M. Round 2 of the ICO begins later in the month, Aug 26, at 0,55 NXT per JLRDA – a rate 1.82 Jelurida : 1 NXT – 80 M tokens will be available for purchase in Round 2 at this price. Dear Nxters, the first round of IGNIS ICO is now over, 60 M JLRDA tokens were sold and 24 M NXT collected! Thank you all for your contribution! The second round will start on August 26. And please be careful and remember that JLRDA tokens are not transferable or tradable! If someone sends you small amounts of similarly named tokens or even NXT this has nothing to do with the IGNIS ICO and can very likely be a scam attempt! To participate in the IGNIS ICO, the Nxt Client 1.11.7 is highly recommended. Lior Yaffe, going by his handle – Riker, explains how to participate in the IGNIS ICO by scheduling transactions ahead of time. This is how the whale, MAAC, purchased in excess of 14 M JLRDA tokens – by scheduling ahead of time the transactions for purchases. You too can be like MAAC and use this feature of the NRS to your advantage. Due to the high volume of demand for the JLRDA tokens it is advised that you schedule transactions in order to buy, otherwise your chances will be very, very small. The 12 batches Round 1 are complete. Do not worry, do not despair – there is still plenty of time left to buy into the ICO. Be careful , JLRDA tokens are non transferable and only can be purchased from the NRS client, v1.11.7, and you should only buy through the IGNIS TOKEN SALE page. Due to the demand for answers, a FAQ section of the Ignis ICO has been enabled on NxtWiki. In it, all the important information about the ICO, from how to obtain JLRDA to how to set up a Nxt wallet and many more questions asked on the nxchat.slack forum have been answered in a clear and concise format. What is the JLRDA token? The JLRDA token is an NXT token of type “Controllable Currency” which represents the future IGNIS balances on the Ignis blockchain. Being a Controllable Currency only the issuer of the currency i.e. Jelurida can sell it, and once sold it cannot be freely transferred between accounts. Read about the “CONTROLLABLE” currency property  for more details. 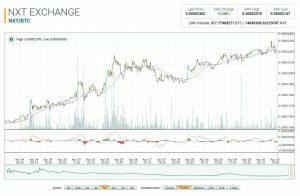 Can I buy IGNIS tokens using Bitcoin or another altcoin? Not directly, since we believe Nxt is a better crowdfunding platform than anything else out there, we would like you to buy NXT in order to buy IGNIS. 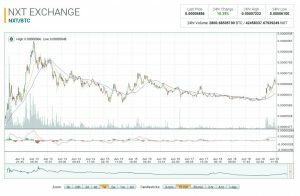 After buying IGNIS tokens in the token sale what do I need to do? All you need to do is remember your NXT account passphrase. The same passphrase will be used on the Ardor mainnet to access your IGNIS tokens once they are distributed. Probably after the Ardor mainnet launch. Before that the IGNIS tokens are locked as JLRDA controllable currency and cannot be traded. Do not attempt trades of JLRDA tokens off blockchain since this is likely a scam. Many more questions are answered in the wiki. The IGNIS ICO is underway for the next couple months and Round 2 begins Aug. 26. The Jelurida IGNIS ICO is being used to fund the development of Nxt 2.0, Ardor. This revolutionary platform is explained in great detail and highlights the important features that make it efficient and better than other platforms for the solutions it provides to many well-known blockchain problems, blockchain bloat being the primary one. A more in depth video presentation of Ardor, by Nxt and Ardor core developer Lior Yaffe, can be found here. After a brief hiatus, we are resuming the #OpEasterEgg hunts! We are glad to see more and more followers of our Twitter account, glad for the blockchain messages, glad to see participants reach out and give each other a helping hand by sharing additional clues, and glad to showcase some of Nxt’s many features in a fun way and give away free stuff at the same time. To join the Nxt Blockchain Easter egg hunts and compete for valuable tokens and gifts, follow @OpEasterEgg on Twitter and of course follow the news. New clues will be posted shortly. Adel released a response to a recent SEC release regarding ICO’s from distributed autonomous organizations (DAO’s). Adel will soon have the first KYC/AML/CTF compliant ICO in the world. They have worked diligently with authorities to position themselves as such. 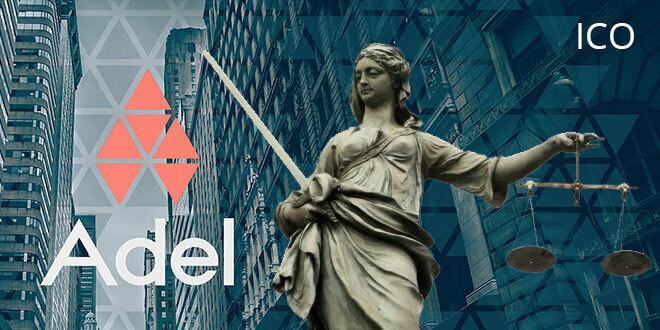 ▲ Adel is the first ICO in the world to confirm with AML/CTF/KYC regulations (Anti Money Laundering and Counter-Terrorism Financing) including implementation of KYC (Know Your Customer) measures. This legal foundation was crucial to establishing legitimacy to Adel’s future. ▲ Adel is mindful of existing and pending regulations. Compliance has been a pivotal consideration to the architecture of the Adel ecosystem. ▲ Adel continually monitors securities regulations, and we endeavour to align our initiatives with regulatory changes. 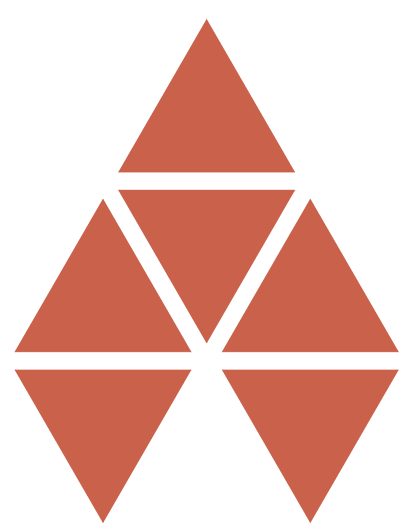 ▲ Adelphoi (ADL) is a cryptocurrency coin, issued within the legal jurisdiction in the Isle of Man by Adel Ecosystem Limited (a private limited liability company), residing at Salisbury House, 15 Victoria Street, Douglas, Isle Of Man, IM1 2LW. ▲ Adel Ecosystem Limited is registered as a designated business with the Isle of Man Financial Services Authority, which insures AML/CTF compliance. ▲ Adel’s second phase – referred to as the blockchain innovation incubator – has not yet been launched, since it is currently being architected, as outlined in our 10th white paper. ▲ It is the intention that Adel`s second phase will utilize a new Adelshare (ADS) token, enjoying the benefits of a distributed ledger. The legal status underlying ADS tokens will be fully compliant with existing regulations. 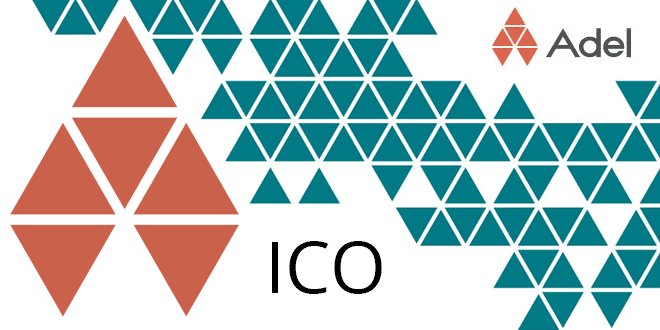 We look forward to their success and hope that the rest of the blockchain space works as hard and as diligently with local authorities to legitimize ICO’s in the global business space. 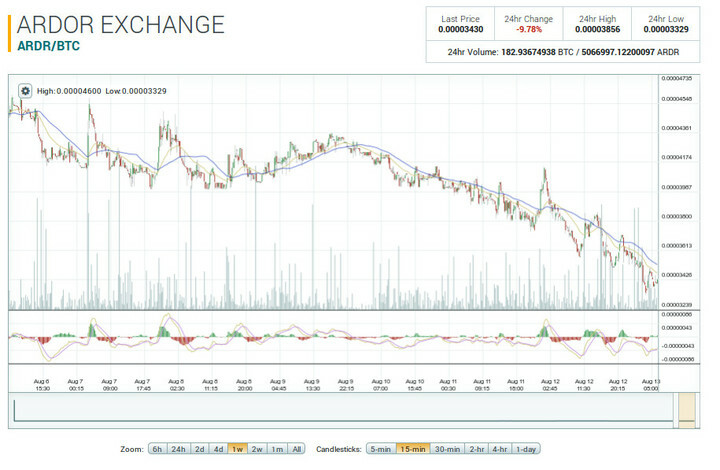 Last Friday the Bitswift token swap happened on Bittrex. 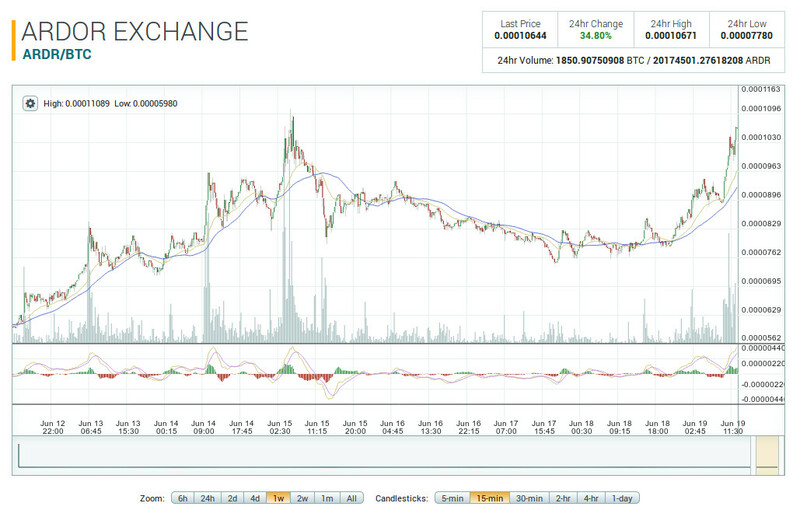 The swap is a preparation for Bitswift’s Ardor child chain migration. We welcome Bitswift to our platform and look forward to a long and rewarding relationship. The Bitswift child chain token distribution will be done as part of the Ardor Genesis Snapshot. You will be able to use your existing Nxt passphrase to access your new Ardor child chain Bitswift balance. After calculating the Ignis balance of each account based on NXT and JLRDA holdings, another calculation will be run that allocates 10% of the Bitswift tokens to IGNIS holders based on those IGNIS balances. All unclaimed tokens will be sent to a public address where they will be reserved by BDA Inc. for those who missed the token swap, as well as to be allocated in a transparent manner to facilitate in the ongoing development of the Bitswift ecosystems. Exact details pertaining to the unclaimed allocation will come at at a later date. – public assets left for sale 159,640. – the rest of the tokens have been burned. This ratio represents the effectiveness of past activities, members and partners, with consideration that CORE is representing the main part of the enterprise. 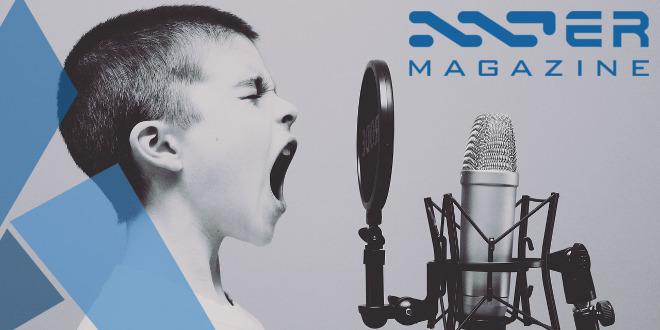 Send your Core and Core Media assets, from your NXT account to the Issuing account NXT-T4BJ-M2B6-9LHP-8YG77 along with a message that contains your WAVES public address. 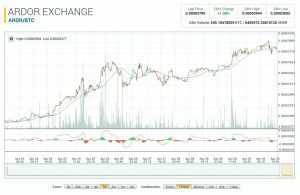 Please check and double check the WAVES address you provide is correct. There is no way to reverse the transfer of your new Core token if you send us the wrong address. 1,000,000 Core Group tokens have been created on the Waves Platform. Please swap before September 1, 2017 as we will burn unswapped assets shortly thereafter. The resourcefulness of our community is exceptional. This week we are happy to link you to a GitHub repository where a user, gcmartinelli, has created a quick and dirty script that alerts you in Telegram when the JLRDA tokens are available for purchase. Check out his repo below, you will need the NXT (NRS) server running and the Python Requests Library. With all the buzz and hype around Nxt, Ardor, and Jelurida, the blockchain space is growing exponentially and we are entering the age of Baas (Blockchain-as-a-Service). 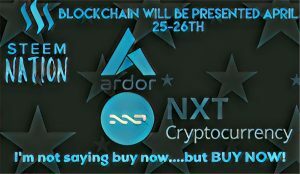 Developers for the Nxt/Ardor blockchain are needed and Lior Yaffe introduces how to begin and immerse yourself in the world of the Nxt and Ardor blockchain. Any eager developers out there looking to learn how to create useful apps and functionality – this is the portal to your journey. 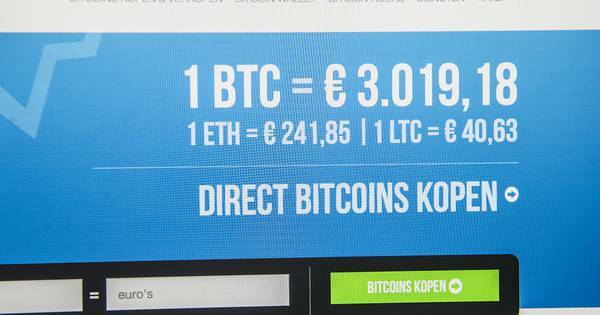 Small announcement of Ardor in the Dutch newspaper AD that explains the hype surrounding the Ardor to the average, lay person. An easy and informative read, in Dutch. And that is all for this busy week, Nxters. Stay tuned next week for more up-to-date coverage on the IGNIS ICO, the launch of Ardor, media coverage, and much more. For those who cannot wait a week to learn more about the IGNIS ICO, we have our ICO Coverage series running. Follow us on Twitter for important breaking updates during the week as they happen. 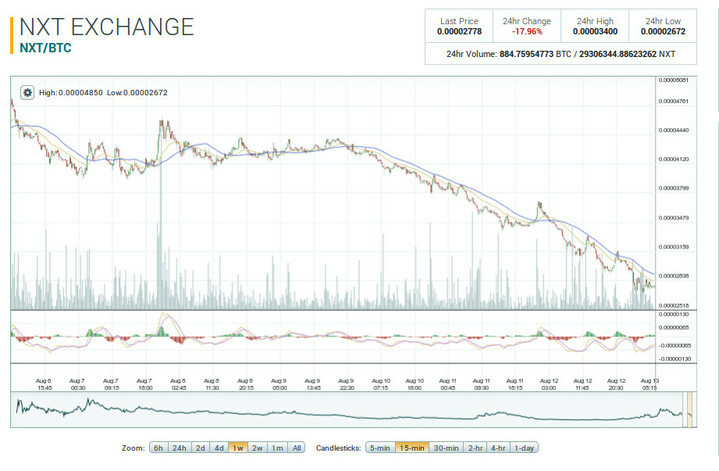 Stay committed and stay informed fellow Nxters! See you next week. This week’s newsletter is put together by apenzl, jagd, rubenbc and Jose. IGNIS logo – Lets Create One Together! We need your assistance Nxters! One of the best aspects of the Nxt community is our amazingly dedicated members. Wonderful members have been working on the creation of a suitable logo for IGNIS, the first child chain to be issued on the Ardor Platform. Our unstoppable Ardor forging platform needs a suitably awesome and iconic logo for the first child chain. 1) We would need the logo icon to be able to work when squared, as in being put in a frame with four equal sides. Sorry for not stating this earlier. 2) The word “IGNIS” is not required to be part of the logo, but it can be there. The designer of the selected entry will receive for their efforts 3000 NXT, which is about 500 USD with current exchange rates. 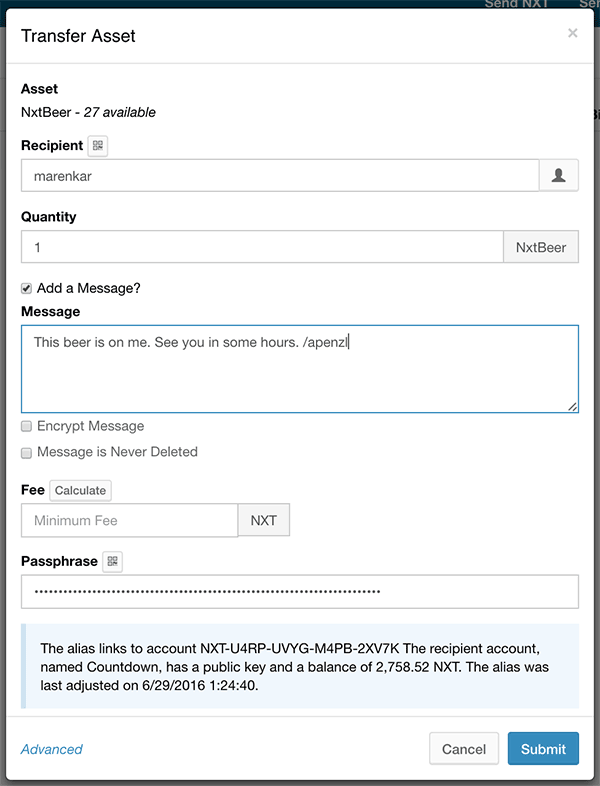 Easier hunt this week, 30 redeemable beer assets hanging on the blockchain to celebrate life, summer and the raising awareness of Nxt and Ardor, released for you at block height 1364704. Not planning a visit to Copenhagen? You can transfer the asset to a friend instead. 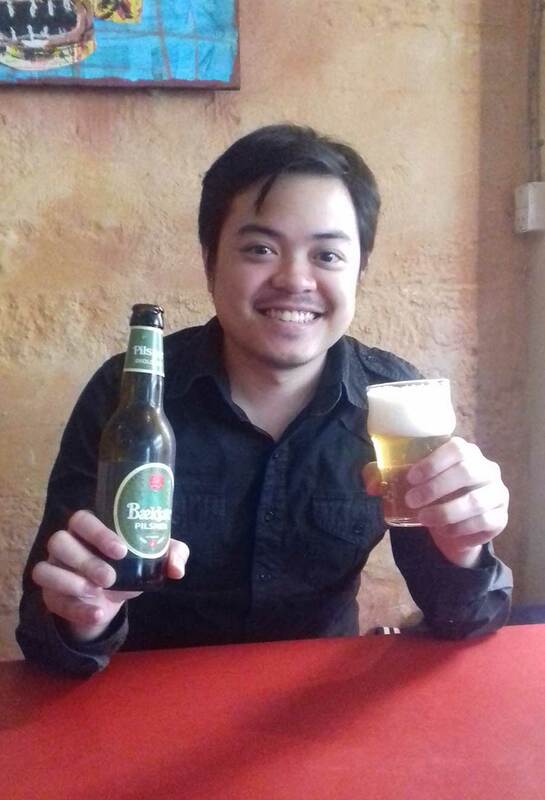 First NxtBeer claimed, redeemed for an ecological pilsner from Ørbæk Brewery. 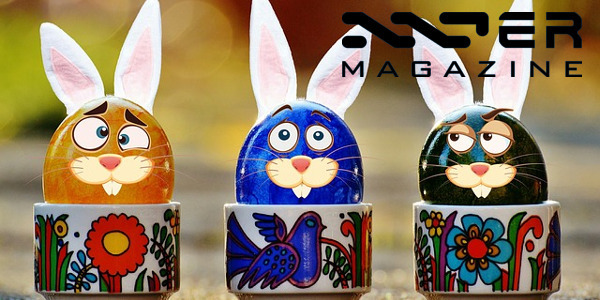 A new Easter egg hunt starts this week, and of course, takes place on the Nxt blockchain. Actually, can any other blockchain offer its users the ability to set up a treasure hunt via its Client GUI? To get access to the Eastereggs Nxt account and to learn about the hunts, read back. Is there a nicer way to learn about Nxt and Ardor child chains? Nxters, please help spread the word, plus follow https://twitter.com/OPeasterEggs. 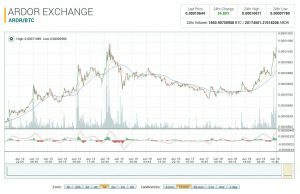 The Payza Exchange continues to grow the list of altcoins accepted as deposit options on the exchange, and this includes Nxt and Ardor. 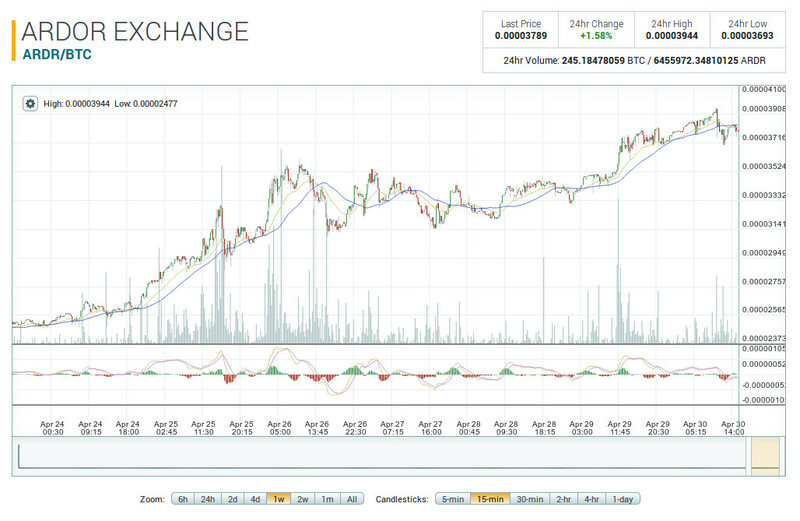 Cryptocurrencies continue to grow and gain mainstream acceptance. This is significant for us because it means that it will be very easy for Payza and other exchanges to add any asset of Monetary System that is issued on the Nxt or Ardor blockchain. Members in most countries can now sell Ethereum, Ripple, Litecoin, Dash, Monero, Zcash and dozens of other cryptocurrencies to Payza. “In the future, Payza members will also be able to buy altcoins, similar to how they can currently buy Bitcoin from Payza. Bjorn, the marketing director of Janus, has announced that he will now put forth 100% of his energy into Janus’ business work and to kick off TradeMimic.com. Hello everyone, recently our team had a meeting (which we do almost weekly). This one however, focused on the priority of work and business direction. The past 5-6 weeks I’ve been working on a side project for both the Janus and Ethereum classic community. I believe that it’s very helpful for our future growth and opens many doors and new opportunities for JNS investment. The one drawback in our timeline is there is simply too much work with regards to upcoming business for me to finish, package, launch, and market the project I’ve been consumed with the past weeks. We identified the overwhelming need to focus much harder on our business work instead. So from this point, the work I’ve been doing which expanded our blockchain presence, will be put on hold until 4 things that take priority over it are completed. This will actually benefit the side project and overall health of potential success in business and meeting timelines in a much better fashion. 1. Wrap up etcbets.com little issues. 2. Upgrade BetterBets to new framework and games. That, Nxters, in my humble opinion, is will, insight and showing respect towards one’s ecosystem at its highest. In case you hold JNS on exchanges, remember to have your Janus tokens in your Nxt wallet or on Stock.exchange by July 1st to receive Janus profit sharing. 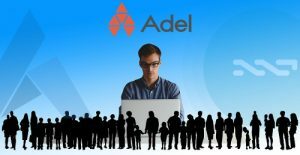 Adel, the forward moving blockchain incubator recently ICO’ed their Adelphoi (ADL) token and raised more than a million Euro. 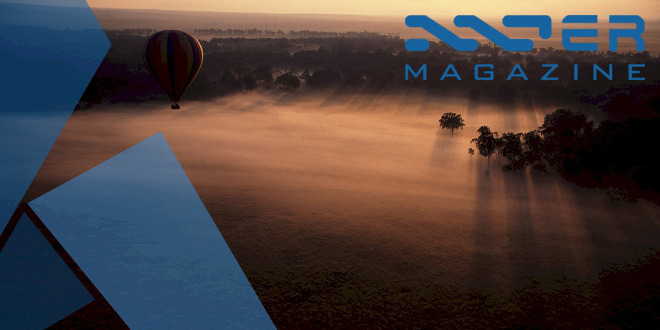 The Nxt based ADL token gives voting rights to individuals (members) that hold more than 2BTC equivalent (1BTC for initial investors). ADL is trading on the free and decentralized global Asset Exhange as well as on Stocks.exchange, and the Adel team and community is currently working on getting ADL listed on more exchanges. The distribution to initial investors is ongoing. We have over 25 project submission ideas and voting members are now being offered monthly live calls (to dial-in by audio or video) to give you updates on Adel, and hosted by top minds in business, blockchain and crypto. The goal is to establish a process for new idea submissions and to educate you on best practices for business planning, promotion and incubation. Our first members only meeting is scheduled for July 3, 2017 at 20:00 CEST (UTC +2). Silvercoin’s ICO went live on June 21 and runs until July 19. No bonus for early birds to miss as the price of Silvercoins (SVC) is fixed at a 0.00003 BTC equivalent per coin during the crowdsale. Purchases can be made with NXT, BTC, credit cards, bank transfers etc. Those problems are named as Lack Of Website Monetization and Centralized Information. The solution is SilverCoin, the universal web monetization and community engagement platform that rewards you for sharing information and enabling others to do the same. It’s based on the Proof-of-Change (POC) protocol, where the more information you share and the more people you reach… the more you earn, and the more you change the world. 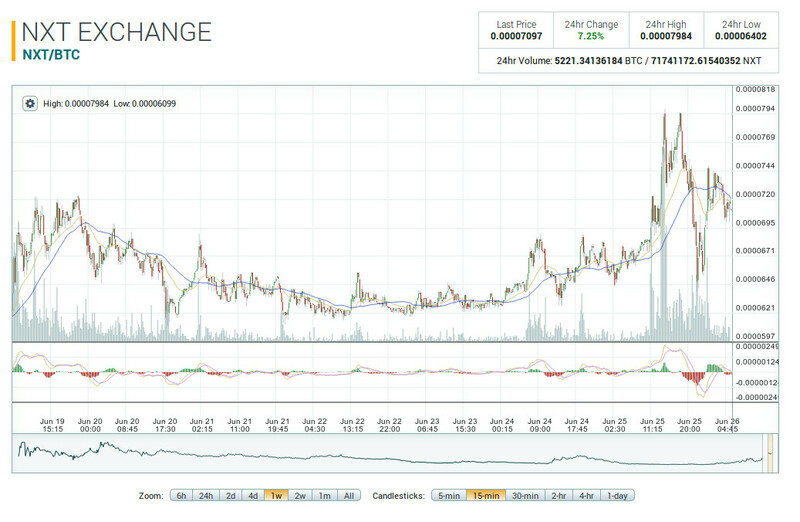 With the result being an exponentially growing global peer-to-peer decentralized web information network. This Proof-of-Change crypto-affiliate protocol is incentivized by a blockchain-secured deflationary rewards structure, which offers a truly equal opportunity to all people. SilverCoin will initially be built using a modular integrative design that utilizes the best technologies currently available. The three major technologies to be integrated into SilverCoin’s POC protocol (NXT, PAP, SMS) are all real world tested, arguably the best in their field and all are built around API’s and Plugins and are specifically designed for integration. NXT was selected as the core blockchain tech for SilverCoin because in addition to the secure blockchain it provides many others features required by SilverCoin, including a decentralized asset exchange, marketplace, voting and cloud storage. 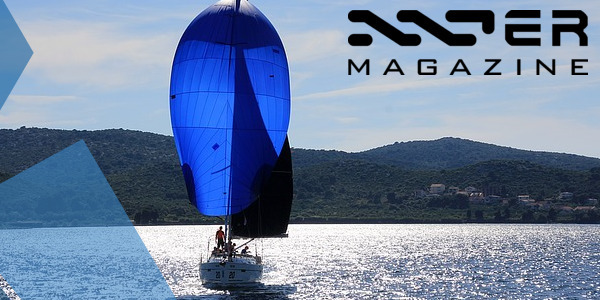 By using NXT/Ardor, our blockchain is maintained, secured and upgraded by some of the most-qualified blockchain devs on the planet, the NXT team. Post Affiliate Pro (PAP) is the top affiliate tracking software available today. It contains multiple levels of tracking such as Browser cookies, HTML5 cookies, Flash cookies and IP address tracking. It provides lifetime and multi-level commissions, as well as multilingual support, banner ads, a secure dashboard, encrypted commission tracking and detailed reporting. It’s also a one-time cost for a lifetime license with continual updates and it comes with full dev. support, pay as you go and is designed for platform integration. SMS verification provides an effective and low cost method to authenticate users at signup by having them verify that they are a real person, which is an essential internet-independent component in negating sign-up fraud. 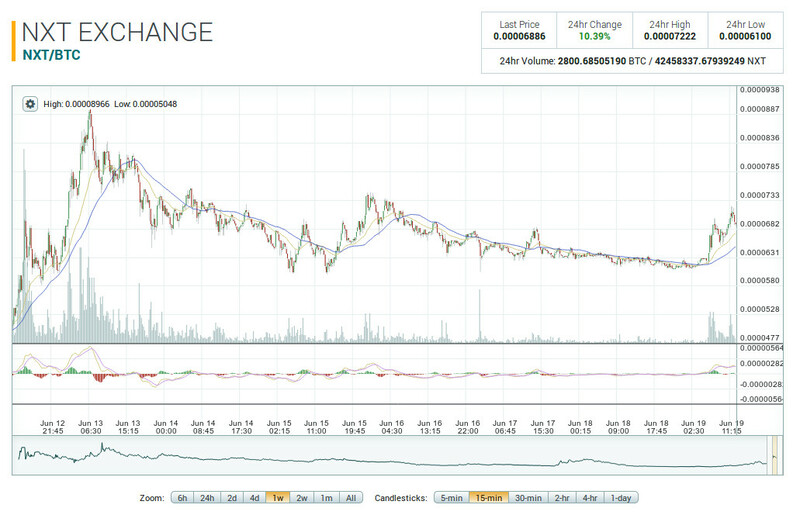 But what gives Silvercoin its value, one could ask? At first glance, it appears as if their method is building a viral marketing network around their asset and having a paid “SilverPlan”. [A] major aspect of SilverPlan is the Marketplace where you will be able to exchange your silvercoins for products and services. The 2 products planned to roll out first will be silver bullion coins and affordable website design packages. SilverPlan will also include advanced video series on marketing, trading and wellness. In addition, it will act as a bridge connecting the Internet to Maidsafe’s Safenet. 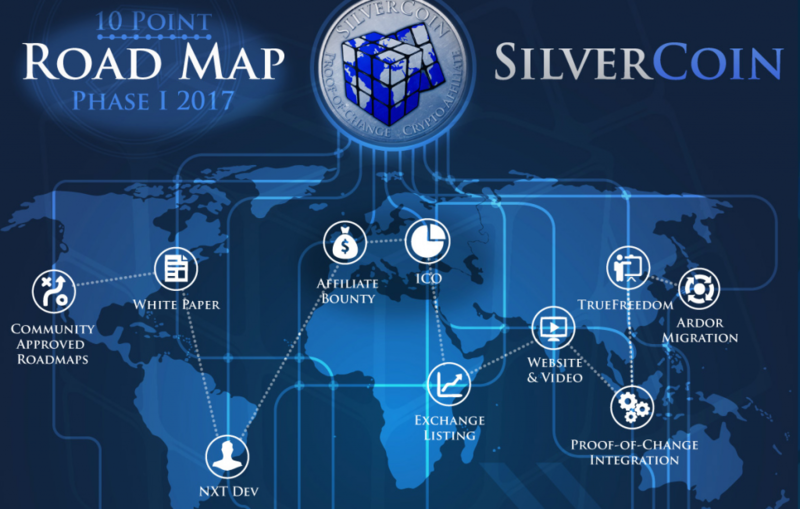 SilverPlan will require it’s own whitepaper before development begins. So, it seems they want SVC to become a coin with real value inside the ecosystem they build. Maybe the way to obtain changes in this world really is by giving people the tools, as humans, no matter who they are, to become damn cool marketers and work together as a decentralized force in a fight for spreading truthful non-governmental approved information throughout the world. Incentivized by SVC coin bounties, and a building urge to learn more, do more, grow, help others grow, become the breathing outreaching starfish to be named: Proof. Of. Change. The setup seems unorthodox, to say the least. Unfortunately, we have not yet had a chance to interview the creators behind the project and coin offering. Anticipate us doing so very soon! 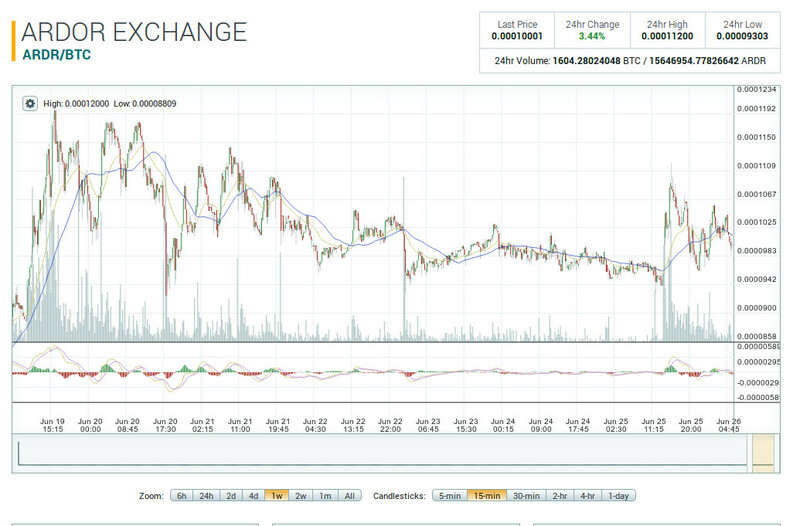 SVC can be bought on the Nxt Asset Exchange with NXT and from c-cex.com with BTC, at your own risk. Nxt “Phasing” is the ability to split a Nxt transaction up into 2 phases (broadcasting it > executing it) and to set multiple conditions (up to 10) before the transaction is executed. To support more advanced phasing logic, we now added to Ardor the ability to create “Composite” voting models. A composite model defines the voting models building blocks and the logic to bind them into an “Approve” or “Reject” decision. The composite model supports the AND (&), OR (|) and NOT (!) logical operators and defines an expression which applies these operators on a combination of simple voting models. Using a NOT operator, allows you to setup a “dead man switch” so that funds are transferred to another account only in case an account did not approve this transaction until a certain height i.e. the account owner is assumed dead. Using a NOT and AND operators, you can define that a transaction is approved at certain height only if none of the accounts in the whitelist has voted against it. 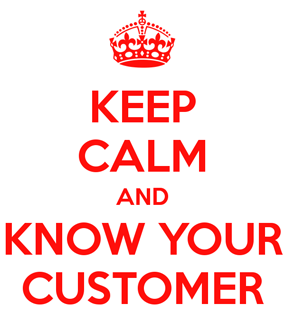 You can also define more complex conditions like approve a transaction only in case an account from a whitelist (i.e. a regulator, manager, judge etc) has approved it OR an account holding a certain number of tokens approved it i.e a user a stake holder etc. The feature is not yet on testnet. Credits goes to petko for developing the server side logic. 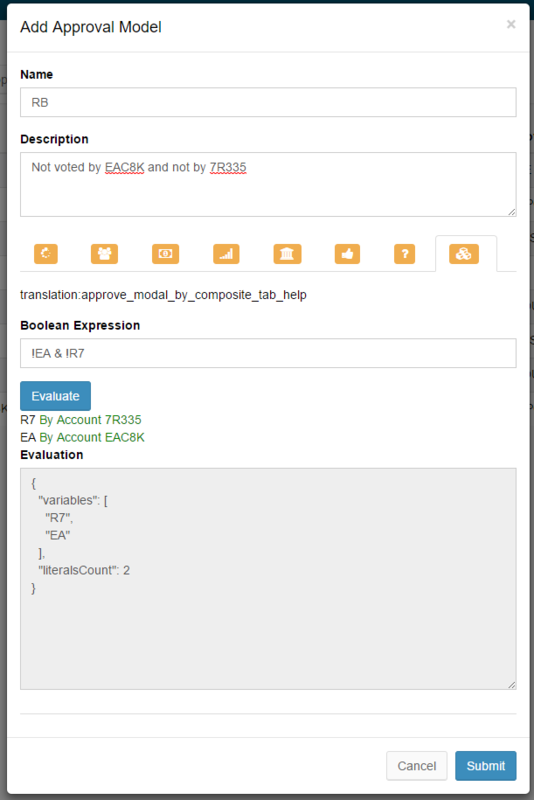 This new section is dedicated to the technical side of our platform. We are often asked questions about Nxt, Ardor, IGNIS, and blockchains that have been previously answered. 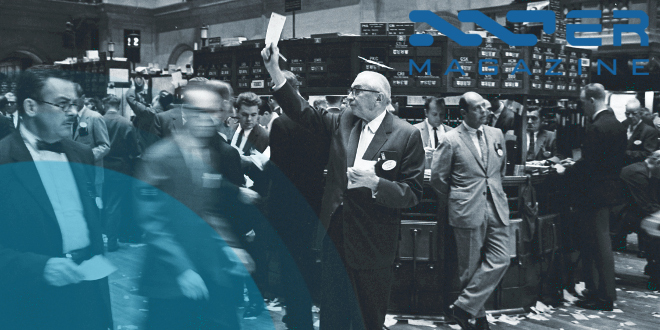 So, just in case you have forgotten, or in case you are brand new to this scene and want to easily and efficiently learn to become a Nxter – a very sacred community – we present to you the inaugural section of the Weekly Reminder. We are working on an Ardor child chain pegged to BTC where the peg is ensured by a 3rd party business such as crypto exchange. You’ll be able to convert “real” BTC to child chain BTC at 1:1 ratio and then exchange these BTC using the on blockchain coin exchange to Ardor or Ignis or you’ll be able to trade existing assets directly against these child chain BTC so that asset price is denominated in BTC. Similarly we are planning an EUR pegged chain and perhaps also a USD one. Last week’s newsletter had vital information about our genesis and ICO. Like tokens on our platform, news travel very fast and it is easy to forget what the important basics that make up the foundation of our platform and our success are. And that is it for this week! 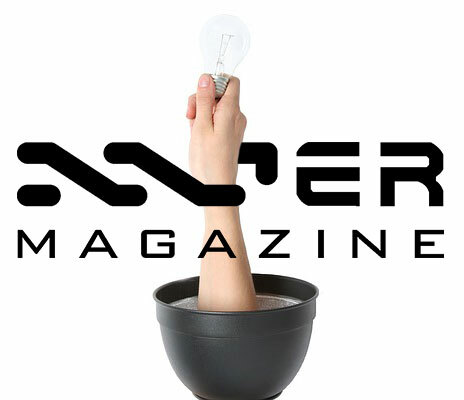 Stay tuned next week as we continue to provide you with all the relevant and exciting news for Nxt, Ardor, and all things involving the accelerating growth of the blockchain space. Follow us on Twitter for important breaking updates during the week as they happen. Stay committed and stay informed fellow Nxters! Travin Keith, Marketing Director of the Nxt Foundation, has announced that Jelurida, the corporation that brings together all the Nxt and Ardor core developers, has become an Organizational Supporter to the Nxt’s Foundation Supporter Program. Jelurida now joins Janus and Sigwo Technologies in their economical support to the Foundation. 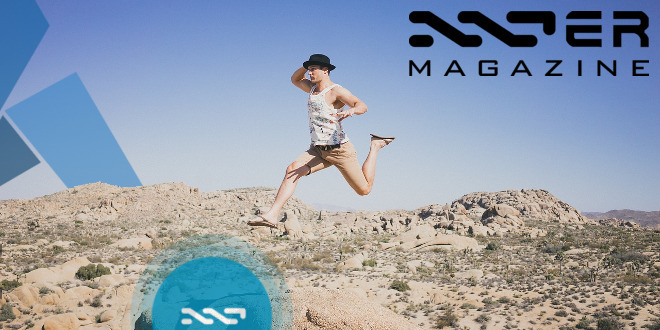 Some members of the community, such as abctc, Arthur Penzl, CryptKeeper, Eddie Willers, Farl, Lior Yaffe, lolik, Martin Rönnebeck, Robin, Savandra, Sazan, Sebastiaan, Wilhelm, among multiple others, have also joined this initiative as Annual Supporters in order to increase the sustainability of the Nxt Foundation. The Supporter Program was launched in early 2017 with the purpose of creating a source of regular funding for the activities of the Foundation to promote the use of Nxt and Ardor blockchain technology. 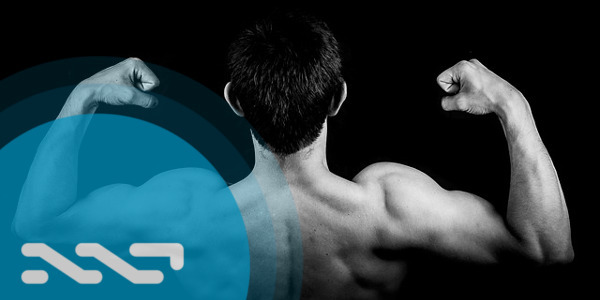 Becoming a supporter also comes with many benefits, such as being listed on this page and having your own @nxtcommunity.io or @ardorcommunity.io email address. Please note, however, that while the Foundation is grateful to its supporters, being one is not a sign of endorsement from the Foundation. All members and supporters of the community, both individuals, and corporations, are invited to support the Nxt Foundation as much as they can. The Foundation has been doing a terrific job for the Nxt community for years, achieving remarkable results thanks to the efforts of its members, despite not having a lot of funding when it was launched. Lior Yaffe, Nxt and Ardor core developer, has confirmed his attendance to the Retina technological forum that will take place on the 9th of May in Madrid (Spain), organized by both EL PAIS, the largest circulation newspaper in Spain, and Accenture. A lot of executives from many different Spanish and Latin American corporations will come together at the Palacio Municipal de Congresos de Madrid to attend to this meeting. Throughout the day, visitors will be able to learn about the business opportunities and some new applications that blockchain technology has to offer to many different industries to transform business, and how innovative companies can use this technology. RETINA and ACCENTURE would like to invite you to BLOCKCHAIN, the forum created for better understanding the challenges and opportunities of the technology that is changing financing, business and the concept of trust itself. We’d like to tell you about the exciting times that we are facing in this digital transformation. Come join us! You can book your tickets at elpaisretina.com. In our previous newsletter, we announced that Kristina Kalcheva and Tomislav Gountchev, both members of Jelurida, were going to attend to the 8th edition of Webit Festival Europa, which took place on the 25th and 26th at the Sofia Tech Park in Bulgaria. According to the organizers, Webit is the most influential event in the field of digital economy and technology in the region. 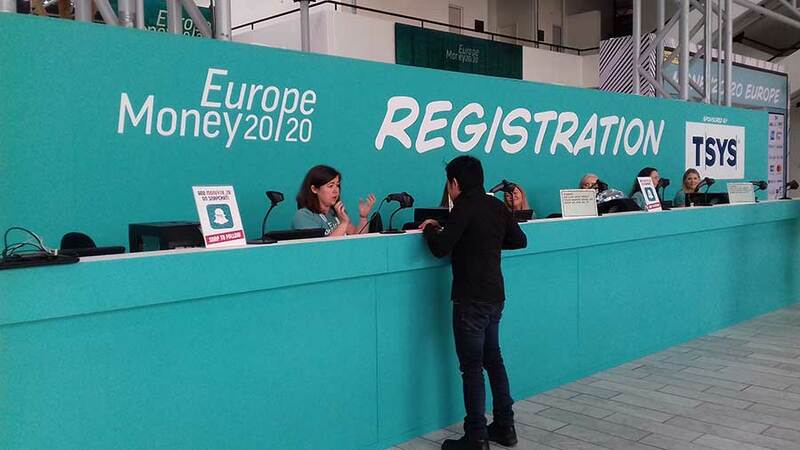 The event was a complete success and many people came to visit the festival, which attracted innovative start-up projects to the interesting conference schedule offered during the two days. 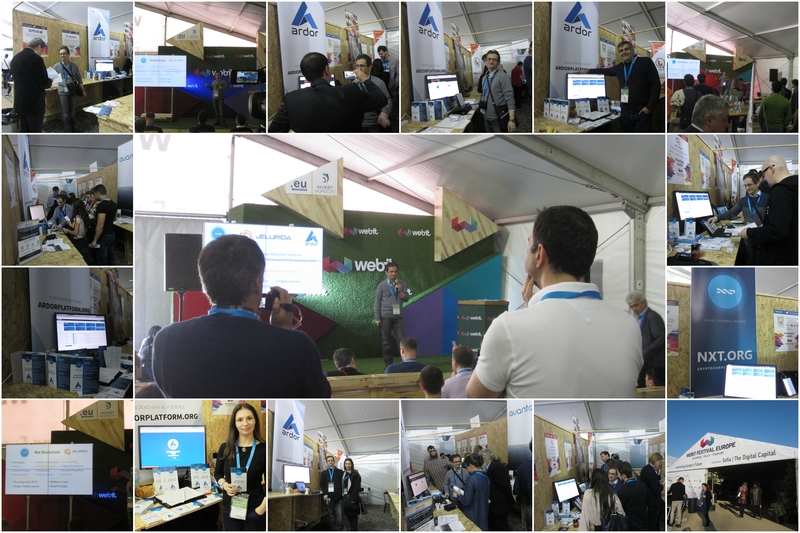 Tomislav also had the opportunity to give a brief presentation to some of the attendees at the start-up pavilion about Nxt and Ardor features. 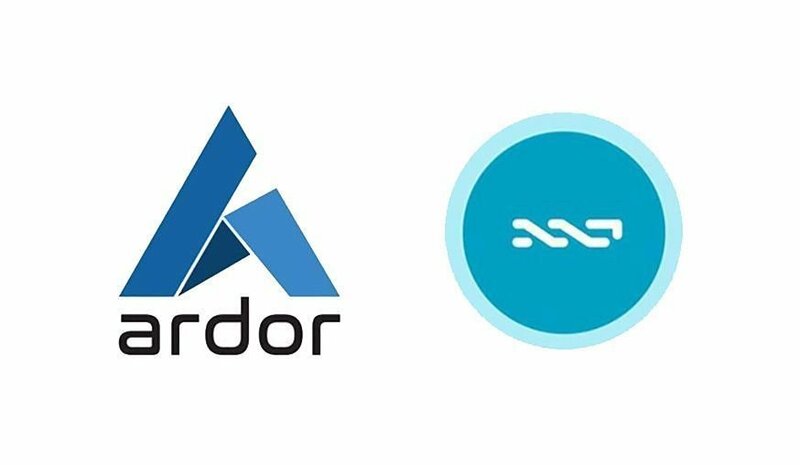 I’m very happy with the attention that Nxt and Ardor got from people who are now discovering blockchain but also from these who want to use blockchain technology for their projects. Today, May the 1st, 2017, begins Adel‘s Initial Coin Offering (ICO). After many months of preparation, users can now take part in the first ICO round of this blockchain incubator that will rely on Nxt for its operations. Adel is a global cryptocurrency community that is self-sustained and offers its own economic ecosystem with the Adelphoi token. Our community focuses on creating, developing and implementing use cases involving blockchain technology that covers a wide range of digital and physical industries. Supported projects are developed, discussed and decided by community members. There will be five stages for stakeholders to earn different bonus percentages for their BTC and tokens converted by ShapeShift. This bonus refers to the amount of Adelphoi the stakeholder will receive, and is directly proportional to their voting power within the community. The first ICO round will be open for four weeks. The ICO will be open to most of the available cryptocurrencies via ShapeShift and Changelly. After the first round of ICO, the total amount will be proportionally calculated and exchanged for 28,333,333 units of Adelphoi. Five million Adelphoi will then be allocated to the Adel team. During the past few months, the Adel team has presented a lot of documents explaining the operation of this new ecosystem. On the official website you can find a number of White Papers, some detailed project’s proposals, Frequently Asked Questions, and much more information. With this, anyone interested can easily access as much information as they need to take an informed decision. 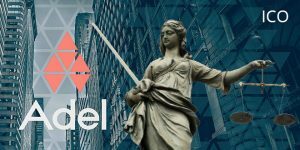 Adel’s ICO will be the first to comply with Anti-Money Laundering (AML), Counter-Terrorism Financing (CTF) and Know your Customer (KYC) regulations. TheWireMaster, a member of the Nxt community and admin at NxtFolks, has given all nxters a nice surprise by releasing a new musical hit inspired by Ardor. It’s a catchy song that would have gone to the top of the charts, if TheWiremaster hadn’t decided to release it for free, but now anybody can enjoy it. You can now listen to it for free at Soundcloud. It’s not the first time that TheWireMaster offered us one of his songs. In 2014 he already composed a song for Come-From-Beyond, one of Nxt’s first core developers, which you can buy at Nxt’s Marketplace. 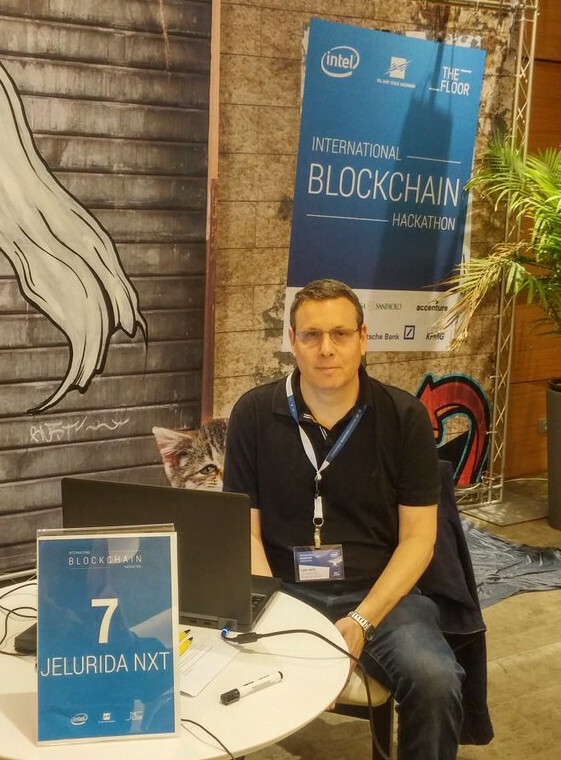 Jean-Luc, Nxt and Ardor core developer and a member of Jelurida, started a new thread at nxtforum to discuss and propose some solutions to some of the problems that public open source blockchains are facing. Blockchains are usually covered by copyleft GPL licenses which, in certain cases, aren’t enough to protect the stakeholders against copycats, thus hurting the ecosystem and users. The Ardor holders from the original Ardor platform, or the forging token holders from a blockchain that has already satisfied the JPL requirements, are allocated 100% of the forging tokens in that new blockchain, proportional to their forging token holdings. All of this intends to protect the community and boost the development of the platform, thus avoiding situations such as the one we talked about in a previous newsletter, where a large institution cloned the code of Nxt to develop another solution, without making the new code available to the public, thus violating the GPL and avoiding this potential improvements to be incorporated to the original platform. Neocash Radio is a weekly radio program driven by JJ, Darren, Randy and Pedro, where they discuss different trends about cryptocurrencies. This channel started their operation 4 years ago, a considerable amount of time dedicated to talk about news and the evolution of the crypto ecosystem. In this week’s program, they deal with several subjects. Among them (min 2:30) is a brief presentation to Nxt (and Ardor), it’s history, from BCNext to Jelurida, technical details of the Proof of Stake system, and some details of the coin, such as the block time, block generating method, and the usage of brainwallets. Also mentioned is the Nxt client itself and all the functionalities incorporated in the core of this blockchain, such as is the case with the Asset Exchange, the Decentralized Marketplace, and the Data Cloud. They also made sure to mention the upcoming Ardor launch, which will bring even more features and allow for the creation of child chains, among others.